Rhomberg conductive level probe kits, designed to interface with Rhomberg liquid level monitoring relays, include a robust probe holder with either 1, 2 or 3 x 1 metre rods. 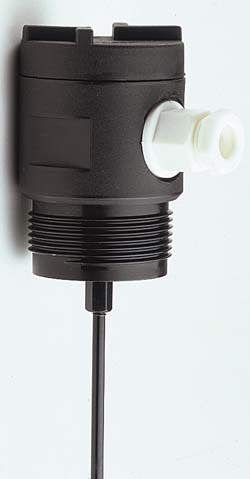 The probe holder has a screw cap with a unique tamper proof mechanism. The rods are powder epoxy coated to ensure conduction only between the bare ends of the rods. This improves reliabililty in applications affected by high humidity and/or froth build-up, or turbulence causing the rods to touch each other. 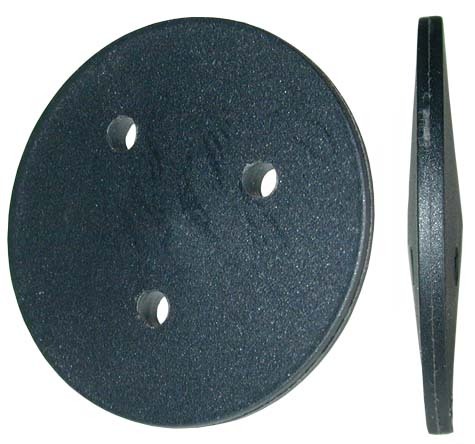 Extensions and spacer discs available as options. 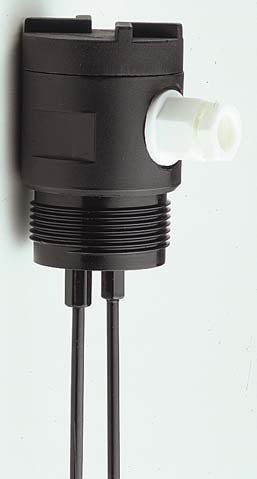 Programmable: charging (filling), discharging (draining). Adjustable Sensitivity: 0- 100k ohms. 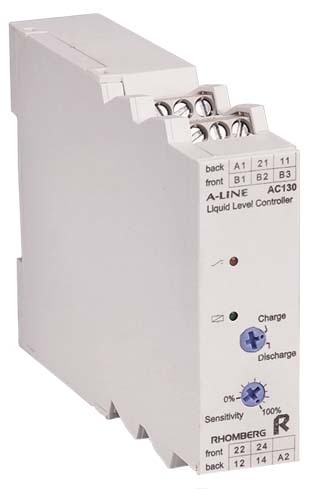 AC modulation of probe signal to prevent plating and electrolytic corrosion. 1 or 2 level control. Low voltage probe signals for human safety and certain hazardous environments. 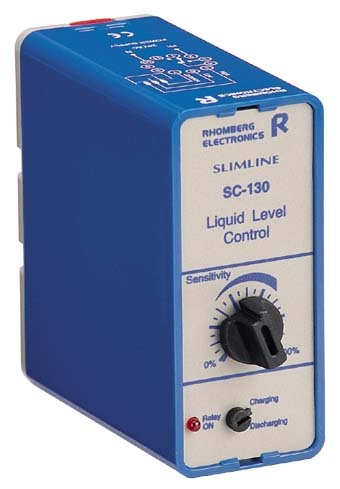 Works with all types of conductive probes (Rhomberg CP-3C, CP-2C or CP-1C probes recommended). Power ON & Relay ON LED's. Adjustable Sensitivity: 0- 50k ohms.